West Bengal School Service Commission (WBSSC) has incorporated new rules for interview in Assistant Teacher recruitment. According to the new rule, for each 100 posts, only 110 candidates will be called for interview. This rule has created a controversy. Now let's see what will be the effect of this new 'controversial' rule introduced by WB School Service Commission. Will this new rule effect on the recruitment of assistant teacher? Yes, it will. We have already called it as a controversial rule. Because, most of the shortlisted candidates called for the interview will be confirmed to be selected in final merit list. Then there will be no value of the interview. In general, the interview is a game changer. If one candidates doesn't perform well in written exam, there is a chance for him/ her to make up in the interview. But as per the new rule, this won't be. 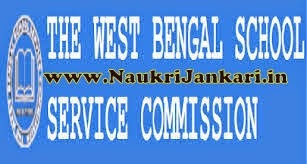 What was the previous rule of WB School Service Commission? Why these changes? For each two vacant post, total three candidates will be called for the interview. But suddenly why this change has been made? According to the official of the Department of Education, WB, candidates whose name in the merit list are not provisionally selected. As a result, they protest for this reason. But it is seen that in some subjects where huge vacancies are there, but no efficient candidates and in other side where there is no vacancy but lots of candidates are in merit list. As a result the Government faces problem. So, WBSSC has decided to make this change in new rule. What's your opinion on this new rule. Give your valuable opinion on it here as comments. 0 comments for " WB School Service Commission's New 'Controversial' Rule "